On April 13, with the approval of the 7th National People's Congress, Hainan Island, formerly an administrative region of Guangdong Province, became a province and was proclaimed the fifth and largest special economic zone in China. The move was publicly hailed as another major step by the Chinese government towards opening to the outside world. It is also an important part of the strategy for developing an export-oriented economy in China's coastal areas. The Preparatory Group for the Establishment of Hainan Province has been formed to take care of the work involved in the development of the new province. Situated between the South China Sea and the Beibu Gulf, Hainan Island faces Leizhou Peninsula across the Qiongzhou Strait. With an average annual temperature of between 22oC and 26oC and rainfall of about 2,000 mm, Hainan is a lush tropical island. China's second largest island (next only to Taiwan with an area of 36,000 square km), it covers an area of 34,000 square km. Hainan also administers other islands in the South China Sea. By sea, Hainan is convenient to Hong Kong, Taiwan and Japan. Its 1,500-km coastline is dotted with over 60 well-equipped harbours. It could very well become an important shipping centre for the Asian-Pacific region. Minerals. Hainan is richly endowed with minerals. 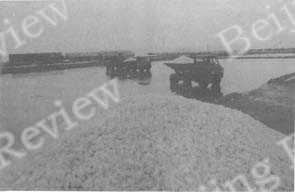 Iron ore mines in Shilou boast verified reserves of about 260 million tons. The ore mined here has an average iron content of 51 percent, and can be up to as high as a 70 percent iron content. Shilou is one of the eight largest mines in Asia. Shilou also produces high-grade cobalt and copper. An iron and steel complex will be built in Shilou with an expected capacity of 1 million tons a year. The production target for the first stage of the project is 35,000 tons of steel. Hainan is also rich in titanium which is very much in demand in modern industry. Verified deposits of 1 billion tons of titanium ore are concentrated in the east coastal areas. Some foreign oil companies have long coveted the oil and natural gas reserves in the north of Hainan Island and the Beibu Gulf and Yingge Sea. Since 1980 China has invited oil companies from France, the United States and Australia to work in the area. Thus far, they have found some oil-bearing layers and sunk one well which gushes out 1.8 million cubic metres of natural gas a day. Hainan is rich in about 30 different kinds of minerals including brown coal, oil shale, aluminium, manganese, lead, zirconium, gold, uranium, crystal, precious stones, quartz, limestone and refractory clay. Most of these reserves are still totally unexploited. Tropical Plants. Hainan produces upwards of 130,000 tons of rubber a year, about half China's total output. Rubber trees are to be seen everywhere on the island. Pepper and coffee are also rich sources of income for Hainan farmers. The island now has 10,000 hectares of pepper plants, an output in the forefront of the nation. At present, only one eighth of the 20,000 hectares of land suitable for coffee growing has been exploited, but foreign investors have expressed a willingness to invest in coffee plantations on Hainan. Hainan is considering plans to process up to 60 million coconuts each year. 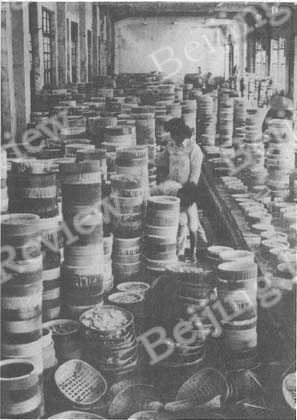 The Haikou Canned Food Factory exports coconut jam and the newly developed salted coconut chips and coconut milk. Hainan's economic crops also include sugar-cane, tea, oil, cashews and sisal hemp. The cultivation of these crops takes up an area of 400,000 hectares. Pineapples, lychees, mangoes, bananas, Chinese flowering quinces, lemons, breadfruit and oranges have become the island's major export items. Hainan also has four primitive forests with some 1,100 different species of trees, 20 of which have a great deal of economic potential. Marine Products. Hainan has 24 fishing ports and fishing grounds which cover 100,000 square nautical miles. Major marine products include groupers, Spanish mackerel, silver pomfrey, hairtails, ink fish, abalone, tuna, lobsters, green turtles, sea cucumber, sea horses and agaragar. Annual catches amount to about 100,000 tons. Specialists estimate that the waters around Hainan Island are 100-200 metres deep, with potential annual catches of over 200,000 tons. The artificial breeding of marine life in Hainan has a good future. Surrounding waters of 5-10 metres deep covering an area of 25,000 hectares provide perfect conditions for the breeding grounds. Hainan boasts the world's most advanced pearl breeding technology. 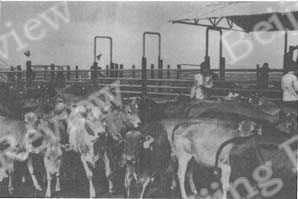 The Sino-Japanese Nanhua Pearl Breeding Co. began operations in 1984. In 1986 it harvested 2,300 pearls, each measuring over 10 mm in diametre. The largest measures 30 mm and weighs 15 g, a record in China. Lingshui County has six pearl breeding grounds. Tourism. One of Hainan Island's most spectacular features is its tourism potential. The beaches are superb, particularly at Sanwan. Then there are the well-known Dadong Offshore Bathing Grounds and the Yalongwan with its seven kilometres of magnificent coastline scattered with white sand beaches. The annual average temperature of the surrounding waters is 20oC. The hilly areas inhabited by the Yis and the Miaos also provide an attraction for tourism. Construction of the island's 30-square-km International Tourist Centre has already begun. The project involves an investment of US$6.74 million from the well-known Hong Kong businessman Fok Ying Tung. 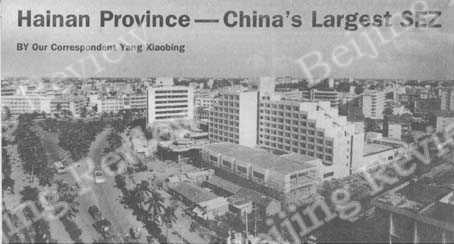 In 1986 Zhao Ziyang, then premier of the State Council, proposed to make tourism one of Hainan's main industries and the main force in the island economy. The province is now one of China's seven major tourist areas enjoying priority state investment. In 1987 Hainan received 350,000 visitors. A dozen foreign companies have approached Hainan to co-operate in tourist projects. The Chinese government has formulated special policies for Hainan which are more flexible than any offered to other parts of China. They include some internationally applied measures which have not been adopted in the other four special economic zones. According to Xu Shijie, head of the Preparatory Group for the Establishment of Hainan Province, the island will operate on the basis of a market economy with basic socialist features. "Sino-foreign joint ventures, cooperatives and wholly foreign-owned enterprises will enjoy a good deal of the benefits Hainan's economy has to offer," said Xu. No controls will be placed on investment in capital construction. Construction funding will come mainly from abroad as well as Hong Kong and Macao. Hainan is free to borrow overseas according to its debt servicing capacity. In principle, all enterprises formerly under the authority of the central government or Guangdong will now be under the Hainan provincial government, to incorporate them into the island's market economy. Foreign entrepreneurs will be allowed to manage, on contract, local enterprises owned by the state or the collective. Hainan will assume all responsibility for profits and losses from trade with the outside world. Local exports will be free of state control. Capital goods, including raw and processed materials, parts and components, fuels and tools, are exempt from import duties. Imports of articles for daily use, including household electrical appliances and 23 other items subject to state restriction, enjoy a 50 percent tax reduction (on the condition that they are used locally). Wine and cigarettes are still taxable items. Foreign-funded enterprises in Hainan (including Sino-foreign joint ventures, co-operatives and wholly foreign-owned enterprises) are exempted from industrial and commercial consolidated tax in the first two profit-making years and an 85 percent reduction in the third profit-making year. Expanding industrial and agricultural enterprises, high-tech industries, enterprises manufacturing new products, and infrastructural facilities (excluding power stations) are exempt from tax on profits during their first five years and enjoy an 85 percent reduction in the following five years. Enterprises facing difficulties in paying tax may apply to the Hainan provincial government for exemptions or reductions. Foreign investors are free to remit their foreign exchange earnings which will be exempt from individual income tax. Hainan's financial system will be locally managed, that is, the Hainan branch of the People's Bank of China will act as the island's central bank. The Haikou branch of the Bank of China will enjoy the same preferential treatment as extended to foreign banks. All Hainan Island's banks are empowered to deal in foreign exchange deposits, stocks and securities, and to establish foreign exchange markets. They can also conduct foreign exchange borrowing and lending business with the other four special economic zones. All the foreign exchange income earned in Hainan will be retained by the province. 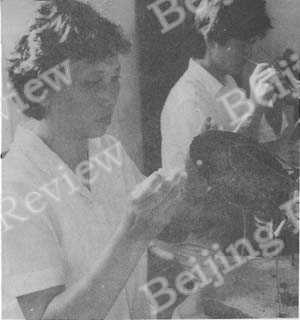 Lin Biping (front), an engineer with the South China Sea Research Institute under the Chinese Academy of Sciences, working at pearl culture. Foreign banks will be allowed to set up branches in Hainan; these branches will be able to deal in foreign exchange deposits, stocks and securities. Hainan Province will be able to engage in international tourism and have the power to endorse and issue entry visas. Compatriots from Hong Kong, Macao and Taiwan, and foreigners will be issued entry visas from Haikou or Sanwan for a 15-day stay in Hainan on producing their ID cards, travel licences or passports; it will no longer be necessary to apply to the Chinese embassy or consulate. Foreign investors and business people staying in Hainan for longer periods of time, may apply for temporary residence cards from the Hainan government; each card will allow them a six month to one year stay and renewal may be granted on application. The Hainan government will be empowered to approve local residents and cadres (not including governor and deputy governors who will require state approval) to trade and travel abroad. The Hainan government will also have the power to approve local enterprise plans to establish commercial outlets overseas. Foreign aviation companies will be able to start scheduled flights to Hainan. The sale, transfer or mortgage of land-use rights will be allowed. such rights can last to 70 years and can be extended by renewing the contract. If not renewed at this point, the right to use the land and any buildings on it will be returned to the local government gratis. The state will also provide Hainan with any necessary financial and material aid. Compared to all other provinces. Hainan will have less obligations and enjoy more power. 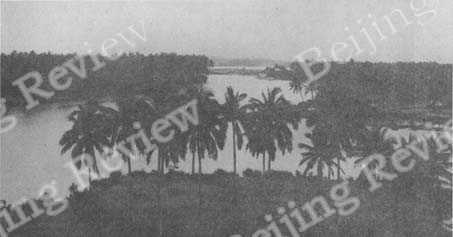 Members of the Preparatory Group for the Establishment of Hainan Province are working hard. According to the group head Xu Shijie, a number of local laws and regulations will be drafted to implement state preferential policies. The Hainan government will bestow more decision making power on various enterprises and companies to mobilize their initiatives. Hainan resembles Hawaii in climate and natural resources. Hawaii developed on the basis of its agriculture, farm produce processing as well as tourism. We may be able to learn from Hawaii's experience to develop Hainan. Development Strategy. While mainly developing its industry, Hainan will also attempt to stimulate agriculture, commerce, tourism and services. International economic exchanges will be actively sought. According to plan, the island province will be divided into five economic districts. The northern district around Haikou, the provincial capital, will concentrate on light industry, food processing, rubber products, machinery, electronics and service industries. The southern district will centre around the city of Sanya and concentrate on tourism and high-tech industry. In the east, around Qionghai and Wenchang, agriculture, farm produce and food processing, and textile and light industries will be the main concerns. The northwestern district will centre around Nada Town and feature production of titanium white, the processing of aquatic products, and petrochemical industries. 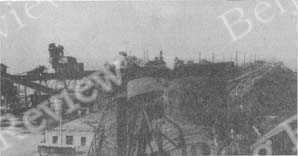 The southwest with Basuo Town as its centre will concentrate on iron and steel, cement and other heavy industries. Huan Xiang, a noted Chinese scholar, said that Hainan resembles Hawaii in climate and natural resources. "Hawaii developed on the basis of its agriculture, farm produce processing as well as tourism," said Huan. "We may be able to learn from Hawaii's experience to develop Hainan." Infrastructural Facilities. By the end of this year, a thermal power station with a generating capacity of 150,000 kW will be constructed near Macun, a suburb of Haikou, to help ease the pressure on the local power supply. A large hydropower station will also be built in the western part of the island, and a thermal power station in northwest Hainan this year. Efforts will be aimed at building up a generating capacity of 1.95 million kW by 1995. Expansion projects are in full swing at the ports of Haikou, Basuo, Sanya and Qinglan. The expansion project at the Haikou Airport is nearing completion. The airport now caters for Boeing 757, with air routes to Beijing, Guangzhou, Shanghai and Chengdu. The Fenghuang International Airport in Sanya City will be built and opened in 1990, providing for regular flights to Hong Kong every day. The 1,000 km of highways across Hainan are generally 12 metres wide and asphalt-covered. The Haikou-Sanya Highway is presently being rebuilt. Hainan's railways extend 210 km from Sanya City to the Shiluo Iron Ore Mine. Another 188 km of rails will be laid to Haikou before 1995. The 1,800-line telecommunications system, providing links with Guangzhou, Beijing and Hong Kong, started operating in 1987. Digital telephone exchanges, imported from Italy and installed in the central and western parts of the island, have just been put into service. Plans for the laying of optical fibre cables in east Hainan are being discussed and revised. The Telecommunications Building in Haikou will be constructed in September. Equipped with 5,000-channel programmed telephone exchanges, this building will make it possible for Haikou residents to make direct calls to Shilou, Basuo and Sanya. Talents. Hainan has four schools of higher learning. However, they can not meet the needs of the latest development, which explains why Hainan Province must recruit talent from other parts of China. Candidates for positions in Hainan numbered 20,000 by the end of last January; another 100,000 applicants submitted written applications to work in the province. About 84 percent of them had college education. The Hainan Talent Exchange Centre is using computers to process information on the applicants.